Fruitless Pursuits: FPcast for August 28 2017: Catch Up II Electric Boogaloo! FPcast for August 28 2017: Catch Up II Electric Boogaloo! 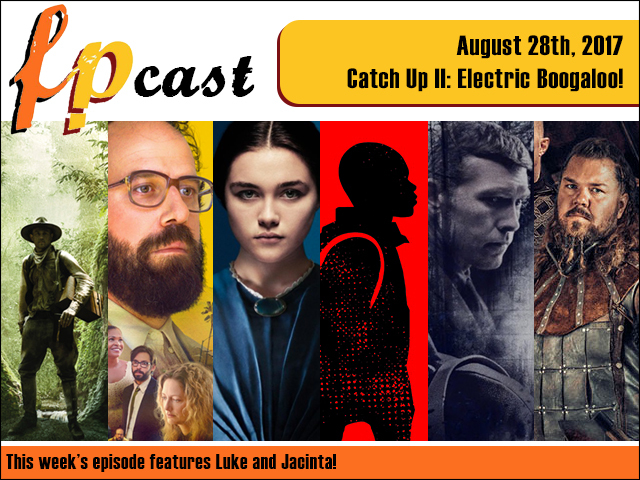 This week we catch up on a whole bunch of smaller movies such as The Lost City of Z, Lemon, Lady Macbeth, and The Transfiguration. Plus we talk about Norwegian TV comedy Norsemen, Wortho's new show Man Hunt Unabomber, and of course the penultimate episode of Game of Thrones. Plus news about duelling Jokers and Taylor Swift? You'd be a stupid idiot to give this a miss!